The new Nikon 24/1.8G is a good lens: It offers a fast f/1.8 aperture and performs quite well. Only the borders of the DX image circle are somewhat disappointing. On top of that it's relatively small and light. But the competition is tough: The Sigma 24/1.4 Art clearly gives you better value for money with a larger f1.4 aperture, better image quality, and a tough outer build at the same price or only a little extra depending on region. And even some of the top zooms are encroaching on the image quality of Nikon's 24/1.8G. But still the Nikon 24/1.8G earns a Recommended. Check prices on the Nikon 24mm f1.4G at Amazon, B&H, Adorama, or Park Cameras. Alternatively get yourself a copy of my In Camera book or treat me to a coffee! Thanks! The AF-S Nikkor 24mm f/1.8G ED is a wide-angle full-frame lens designed for Nikon DSLRs. Announced in August 2015, it completes the Nikkor range of f/1.8 wide angle lenses including the 20/1.8G, 28/1.8G, and 35/1.8G. While third-party manufacturers like Sigma, Tamron, and Samyang seem to focus either on f/1.4 wide-angle full-frame primes or wide-angle zooms, Nikon clearly sees a market for f/1.8 primes. 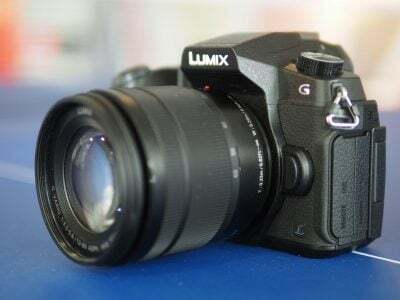 And there are obvious benefits: the f/1.8 primes are smaller and lighter than their f/1.4 counterparts or wide-angle zooms and their price is comfortably lower – at least compared to Nikon’s own f/1.4 alternatives. But still you get the feeling that Nikon’s 24/1.8 lens is a bit “stuck-in-the-middle”: On one side the new Sigma 24/1.4 is two-thirds of a stop faster with very good image quality and a comparable price and on the other hand there is Tamron’s stabilized 15-30/2.8 zoom which takes the guesswork out of the question: Which focal length do I really need for my photographic task? So how does the new lens fit in quality-wise? To find out I tested the Nikkor AF-S 24mm f/1.8 against Nikon’s own AF-S 24mm f/1.4G, the Sigma 24mm f/1.4 Art, and Tamron’s stabilized ultra wide-angle zoom, the 15-30mm f/2.8 VC, all on the demanding D810 body. So if you’re shopping for a wide-angle lens, this review will give you some answers! As usual I’ll have a look at the technical data first. I’ve rated the features with a [+] (or [++]), when it’s better than average or even state of the art, a  if it’s standard or just average, and [-] if there’s a disadvantage. I’ll compare it with the Sigma Art AF 24mm 1.4 DG HSM (the “Sigma 24/1.4” for short). Closest focus distance/max. magnification: 0.23m (0.75ft) / 1:5. The Sigma 24/1.4 reaches 1:5.3 at 0.25m. The score in the “features-department” is 0[-]/7/6[+]. In direct comparison to the Sigma 24/1.4 Art the new Nikon 24/1.8G has really only one advantage: It’s 300g lighter. But then you give up the build quality of the Sigma and two-thirds of a stop of maximum aperture (f1.8 vs. f1.4). – If you want exactly a 24mm f/1.8 lens then the only alternative is the 12 years old Sigma 24mm F1.8 EX DG ASP Macro. 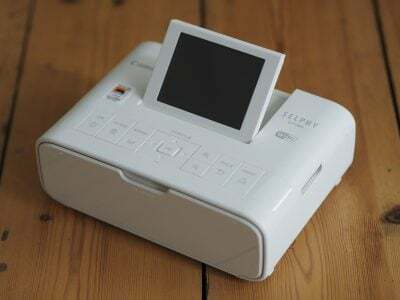 It costs around 550 EUR, is hard to get and didn’t convince in tests. – If you don’t mind getting a bigger glass you might as well look for 24/1.4 lenses where the prime alternative is Sigma’s 24/1.4 Art that sells for about the same price and performed convincingly (see my Sigma 24/1.4 Art review). Then there is Nikon’s own 24/1.4G (review coming soon) at more than double the price. And finally there is the Samyang/Walimex 24/1.4 lens which can be had for little more than 500 EUR but is manual focus only. – On the other side there are a lot of wide-angle zooms that cover 24mm plus give you the enormous flexibility to cover more shooting opportunities due to their variable focal length. Only one of them offers a faster maximum aperture than f2.8: the Sigma AF 24-35mm 2.0 DG HSM Art (around 1100 EUR). Then there are a lot of f2.8 zooms with one of them offering image stabilization which can compensate for the slower maximum aperture: The Tamron SP AF 15-30mm 2.8 Di VC USD (around 1000 EUR, see my Tamron 15-30/2.8 VC review). – Or you go for a standard 24-70mm f/2.8 zoom that lets you comfortably shoot when more reach is necessary. Two of those are also stabilized: The Tamron SP AF 24-70mm 2.8 Di VC USD (800 EUR, see my Tamron 24-70/2.8 VC review) and Nikon’s new AF-S VR 24-70mm 2.8E ED. But that is the most expensive alternative at 2400 EUR (see my Nikon 24-70/2.8E VR review). Naturally the zooms are all bigger and heavier than Nikon’s 24/1.8G. Focus accuracy and repeatability is critical to consistently produce sharp shots. Repeatability (the accuracy of focus on the same subject after repeated focus-acquisition) of this lens is very good (measured 98,5% in FoCal) with no outliers over a series of 40 shots. There is a slight performance variation whether the lens focuses from infinity or from a closer distance. Unfortunately the lens had to be swapped for a second copy to focus correctly. 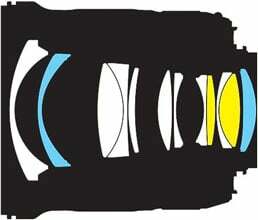 The lens focuses in around 0.4 sec from infinity to 0.24m which is very fast. The 24mm broad focus ring has some slack/play between its movement and the focus-action and movement is of medium smoothness. Together with a short throw of 75 degrees manual focusing at large apertures is finicky. AF-operation is barely audible from the outside. The lens is made in China and has a weather sealed metal lens-mount plus seven rounded aperture blades. The outer barrel is plastic and the lens-hood has a little play.